WASHINGTON (AP) — The news is constantly on television at the Washington Capitals' practice facility, and like any workplace, there's no shortage of opinions. "We're human beings, and people share different opinions and different political views," veteran team leader Brooks Orpik said. "It's no different than anybody else. People that are friends vote for different people." Those differences were on public display the last week when two players said they would not join their teammates in visiting President Donald Trump at the White House on Monday to celebrate their Stanley Cup championship. Canadians Braden Holtby and Brett Connolly said they'd respectfully decline the invitation. Several other players, including Russian captain Alex Ovechkin, Americans T.J. Oshie and John Carlson and American coach Todd Reirden have said they're going. A vast majority of the team that won the first NHL title in franchise history is expected to tour of the White House and meet Trump in the Oval Office in a private ceremony. The Capitals are accepting of each other's differences of opinion on going to the White House and say this isn't a divisive issue and won't be a distraction. "You're a team and you want to stick together no matter what," Holtby said. "For me, it's just a personal thing. I believe in what I believe in, and in order to stick to those values, I think I have to do what I feel is right, but that doesn't make a difference on everyone else's decision. We stick by every single teammate we have and their decision." Playoff hero Devante Smith-Pelly, who is black, told Canada's Postmedia in June he would not go to the White House, citing Trump's rhetoric. Smith-Pelly has been with the minor league Hershey Bears since late February. Without specifically naming Smith-Pelly, Connolly said he's "in full support of an old teammate that I am really good friends with and I agreed with." Beyond Holtby and Connolly, it is not clear how many players or team officials will not go to the White House. Owner Ted Leonsis has said he'll go if the team chose to. A spokeswoman said Wednesday that Leonsis did not have any comment about the Capitals' decision to go. Reirden, who was Barry Trotz's top assistant when Washington won last season and has succeeded him as coach, said he has thought about visiting the White House while driving by it on Constitution Avenue, the same road the Capitals paraded down with hockey's historic trophy. "I was really excited about the invitation and will be going and be happy to be going," Reirden said. "I understand our players and their decisions, and I respect it. They're allowed to make their own decisions. It's important that we support them in whatever decision that they make." Holtby and his wife, Brandi, have marched in Washington's pride parade and are advocates for LGBTQ rights. Holtby said that was a factor in his decision and that he and his family "believe in a world where humans are treated with respect regardless of your stature." "Sometimes you're forced into situations where you have to stick by what you believe," Holtby said. "But in the end, I think there's more important things I can do in the future. Trying to make a stand this way, I don't think it does the most in terms of creating change. In the future, I just want to stick by what I believe in and trying to push towards a world where people are created equal." Orpik said the White House visit is not a point of contention among the defending champions like some on the outside are trying to make it. He's quick to point out that even players who are going can agree with Holtby, but still want to experience one last Stanley Cup celebration. 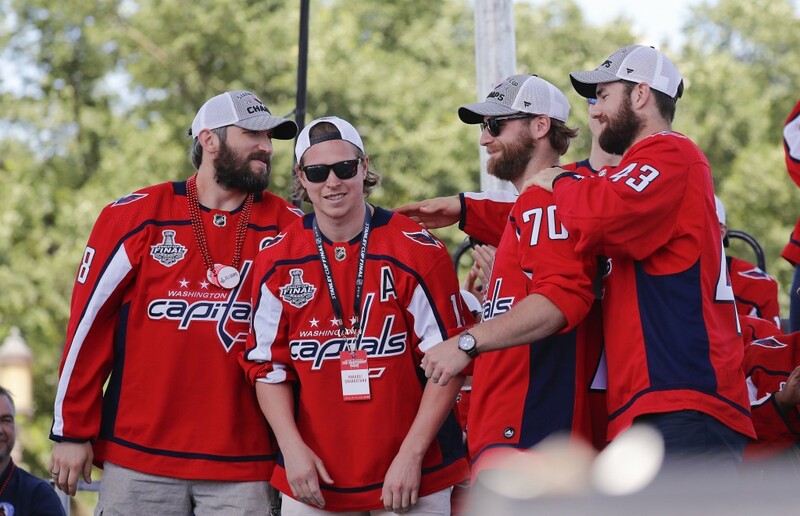 "There's a lot of guys that share a lot of the same values that Holts does, but they're going to the White House and it's not an endorsement of whoever's in the office," Orpik said. "Whether you go to the White House to celebrate a championship, I don't think says anything about your values or your character." In 2012, playoff MVP Tim Thomas decided not to join his Cup champion Boston Bruins teammates in seeing then-President Barack Obama at the White House, citing the "out of control" growth of the federal government. Team president Cam Neely released a statement saying, "We are disappointed that Tim chose not to join us, and his views certainly do not reflect those of the Jacobs family or the Bruins organization." The Bruins lost to the Capitals in the first round of the playoffs in 2012, which was Thomas' last season with Boston because he was traded to Florida. Thomas' individual protest predated by many years the NBA's Golden State Warriors' team decision not to see Trump. 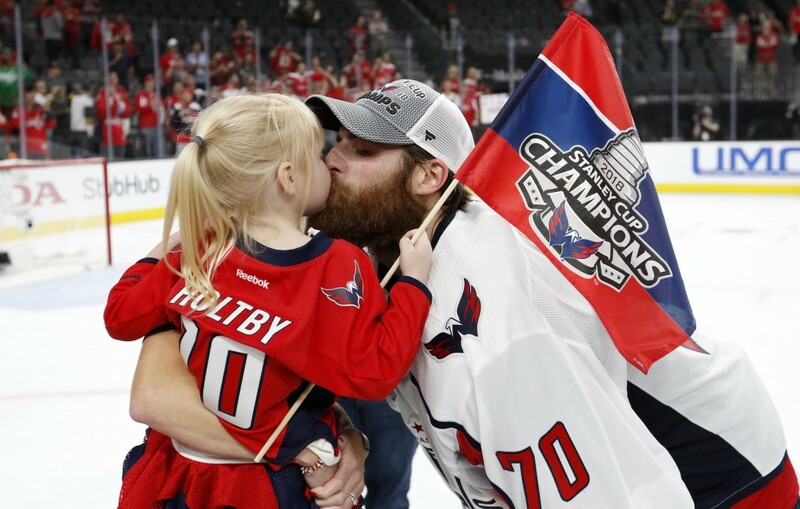 Holtby said that as soon as the first championship team decided not to keep up the tradition of being honored by the sitting president at the White House, it became a topic for other professional athletes and he's not surprised this has become such a hot-button issue. Capitals players have been unflinchingly supportive of each other's decisions in recent days and insist the White House is not a controversial topic internally. "Guys are mature about it," said Tom Wilson, who is Canadian. "It's like when we're not playing well, guys aren't yelling at each other and getting upset with each other. That's something about our group that's helped us with our success. We're mature, and we deal with it as adults. This has been a similar outcome on discussions. I'm not going to lie to you: I've talked to Holts about it and I've talked to guys about it. You have that discussion, it's cordial and you move on." The Capitals are in first place and figure to again be among the top contenders when the playoffs begin April 10. Despite their White House visit coming so late in the season, in the middle of a crucial stretch, they don't believe it will negatively affect team chemistry or unity. "We're so respectful of each other and we're so tight in this locker room that this won't be a wedge or anything like that," Oshie said. "Guys get a chance to go to the White House. If that's something they want to do, great. If it's something they're not comfortable with or something they don't want to do, that's fine, too. We'll show up the next day ready to work and we'll be just as close as we were the day before."